The most frequently asked question of any potential thermographer. Performing a professional infrared inspection is much more than being able to simply use a thermal camera. 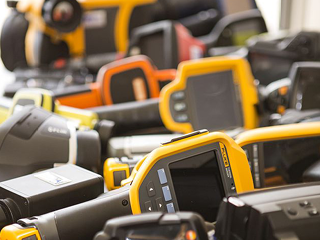 Most modern thermal imagers are very easy to use and have user interfaces that are commonly found on modern electronic devices found in the home. If you can use a computer, mobile phone or digital home entertainment system, chances are you won’t be too challenged by the interface on a thermal imager. I have no doubt that anyone within a few moments would be capable of capturing and storing images, changing colour palettes and generally being able to navigate their way around the camera. 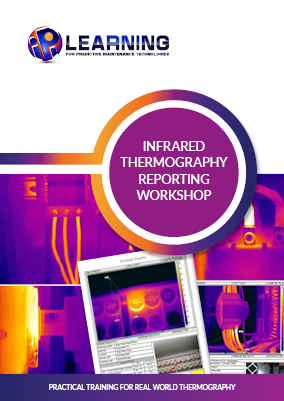 Make sure your thermography reports are effective tools of communication in this one day hands-on workshop. Learn how to ensure your reports meet industry standards, are easily interpreted, will withstand scrutiny and are accurate representations of your findings. What about the free half day course offered by many manufacturers with any camera purchased? Honestly, in 3 or 4 hours it’s impossible to teach you to any level of competency, other than to familiarise you with your hardware and the basics of operation. When you consider that a level 1 course is 36 hours, and level 2 is another 36 hours, and level 3 is 24 hours, you can appreciate that the learning pathway is significant. A camera manufacturer will rarely disclose the required learning as it is a disincentive for equipment sales. Often they will solely focus on the ease of camera operation rather than the science of performing an infrared inspection or the ability to provide accurate temperature measurement. 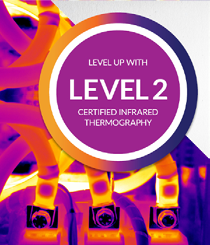 More often that not, this training is delivered by sales representative without formal training themselves or infield experience in performing infrared inspections. 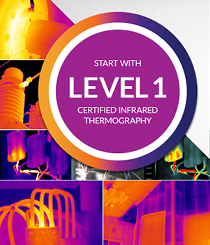 Don’t risk the success of your business or infrared inspection program by undertaking minimal training. Make sure you seek a quality training organisation that has credible trainers with real world experience. If possible, seek independent training free of manufacturer bias. Manufacture based training tends to have a high content of sales based material, or focuses solely on the capabilities of the equipment they sell. This can often be limiting or insular. One of the most common misconceptions is that thermal imagers measure temperature. They don’t. They measure radiant power and that has several implications to the accuracy of observed temperatures (which we call apparent temperatures) and the thermal patterns created across the surface of the target. Radiant power can only be converted to a temperature measurement once we know the characteristics of the material we are observing. 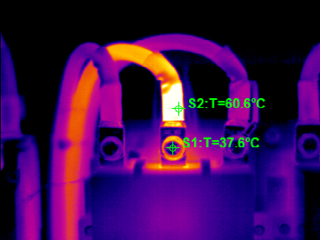 Note the apparent temperature difference between the bare metal and insulated conductor. This is due to variations in emittance. Due to the enormous variation of materials and their surfaces found in the real world, these characteristics are dynamic and can result in misleading thermal patterns as well as significant temperature measurement errors. Most novices report the apparent temperatures with little regard to the error sources. The result is often grossly misleading temperature information and misdiagnosis of fault conditions. This is a much better alternative to any half day course and these types of courses will usually cover a combination of practical camera operation as well as some of the fundamentals of infrared theory and will introduce you to concepts of resolution, sensitivity, lenses (angles), as well as the effects of emittance, reflectance and transmittance. 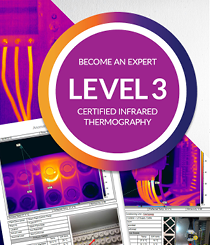 IPI learning offer a range of Infrared short courses which cover Infrared Training Essentials. To find if a short course covers your area of interest. check the course curriculum. A 1 or 2 day course will not meet the minimum requirements for certification, which is 36 hours for ISO and 32 hours for ASNT requirements. It is however a good starting point for in-house personnel. The reason I say in-house (as opposed to external contractor) is because there are usually less demands placed upon employees to perform to the same level of an external provider. Companies (employers) are also largely responsible for the individuals training and subsequent performance. 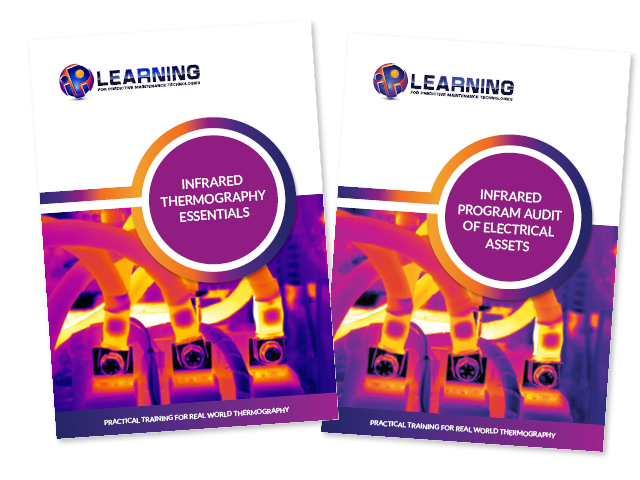 That said, in today’s world, many companies are well educated on the benefits and returns from adopting an effective infrared inspection program and will not risk the failure of their program by providing minimal training to employees. Quite simply, no matter which way you look at it, the risk and subsequent cost of an unplanned event or failure of a process or systems is always more expensive than investing in the appropriate equipment and training.